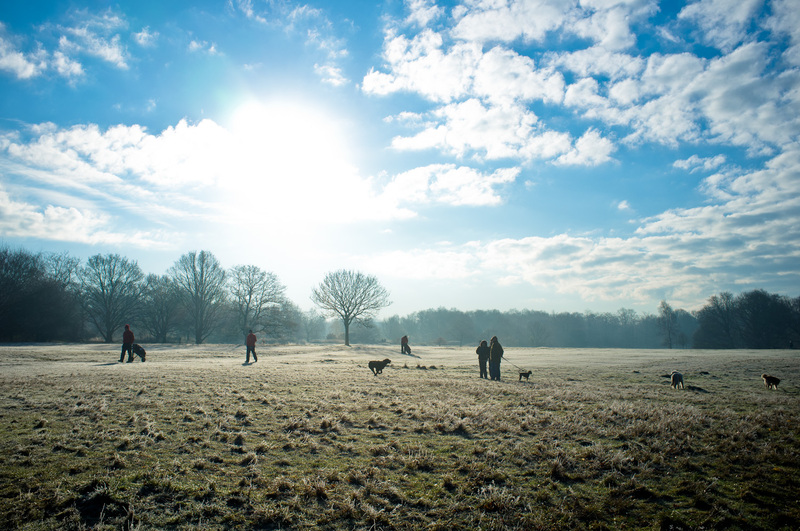 Yesterday was a frosty morning, and I made the above photograph at Wimbledon Common with dog walkers and golfers enjoying a chilly outing. The air was crisp and the sky clear but very, very cold. This morning, a huge snow front blanketed the entire UK, and dropped over 4 to 5 inches of snow in blizzard conditions. The British Isles is known for it’s wet weather, so it was a respite from the rain, but when the snow thaws, that will cause another bout of flooding.